Central Shenandoah EMS Council released its 2016 Annual Report, which highlights its continued strong ties with Virginia’s EMS system. 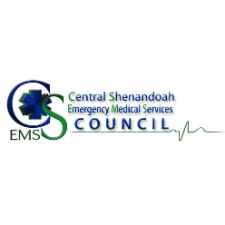 All initial certification programs conducted by the Central Shenandoah EMS Council are accredited by the Virginia Office of EMS (OEMS). These programs include EMT, Advanced EMT and Intermediate. Accredited programs follow a competency-based approach requiring students to complete scenario based training in order to achieve a required number of competencies in specific skills areas. The report highlights the success rates of CSEMS programs. Program graduates are required to take a national certification exam conducted by the National Registry of EMTs. During the fiscal year, the various program levels recorded the following pass rates on the national examination. Introduction of a “Safe Medication Administration Practices” protocol to assist in the prevention of medication errors. Added epinephrine infusion guidelines for the treatment of various cardiovascular and immunological related emergencies. Modified the burn treatment protocols following feedback from area burn centers. Updated newborn and neonatal resuscitation protocols based on the 2015 American Heart Association Guidelines for Emergency Cardiovascular Care. Updated the selective spinal immobilization/clearance protocol to resolve ambiguity. Modified the trauma triage decision scheme. Added a vaccination administration protocol permitting certain advanced life support providers to administer vaccinations. The Annual Report 2015 covers the work of the Council and its staff and Executive Committee. The report contains unaudited financial statements for the fiscal year. It describes the Council’s support for its 60 member EMS agencies with an emphasis on EMS education, pre-hospital treatment protocols and system wide trauma and general performance improvement. The report highlights key activities, meetings and committees on which staff and Board members serve—at the local, regional and state level.